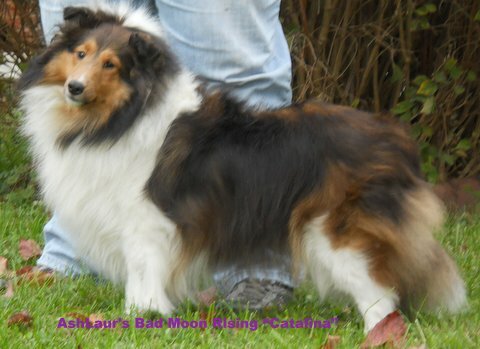 Click on the dogs name to go to her own page. 1) Catalina -Group Winning INT. CH. AshLaur's Bad Moon Rising. Sable & White Female. 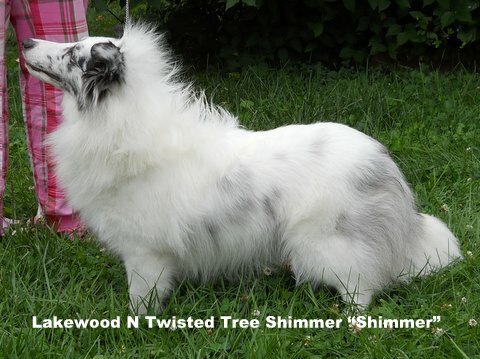 2) Shimmer- Lakewood Twisted Tree Shimmer. Bi Blue Color headed white female. 4) Mirage- AshLaur's Grand Mirage. Bi Blue Female. 6) Halo- AshLaur's Where's My Halo? Bi Black Female.